Samsung Wisenet III Cameras With Apps? Received this email today and wondering if the practical application of these apps lives up to the promise? It appears to be the same thing that Axis has been doing for years with their camera application platform (ACAP) but with far fewer partners. That said, ACAP adoption appears fairly low, and I would expect Samsung's would be similiar. Funny enough I saw this post and started poking around on Samsungs Website and found nothing... I've tried a few of the Axis Apps, and am very interested in how they run on Samsung cameras. The WiseNet III camera takes advantage of improvements in processing power, which enables a range of applications to run on the camera. Fair disclosure: I do work for PlateSmart, and we did show our embedded LPR at the ASIS show. It's a great solution for situations where you have restricted bandwidth from the camera to the head end. Randall, thanks for the feedback. Do you support or have you tried running on Axis cameras? If so, does Samsung provide better, worse, equal capabilities to run your LPR? What specs are you supporting for your LPR? max width FoV? max speed? etc. What is the MSRP for your app? Hello John, sorry for the delayed response. We have numerous fixed and mobile installations using AXIS cameras (mostly fixed sites), but we've used the AXIS as standard IP cameras and just decoded the video stream. As far as running LPR as an onboard app goes, we've been focusing on the Wisenet III cameras and have had very good results, both in dome and box camera formats. I'm not saying we can't use the AXIS cameras, we are partners with them and have their SDK, all I know at this point is that we haven't embedded LPR on the Q1604 and I'm not close enough to the programming side to say whether we will. The Samsung cameras are providing great video quality and the SDK has been very easy to use, according to my programmers. The ARM processor has decent power for an onboard chip, but of course we can always use more CPU power! Right now our analytics can be used on D1 resolution encoders all the way up to 5MP resolution cameras. With the higher resolution cameras, 2MP and higher, we can 'cut' areas of interest where we process LPR while preserving much of the overview capability of the camera. At low speeds we can accurately (over 90%) identify license plates, with 98% or higher capture rates. We identify an accurate LPR read as one where every character is correct, we do not use "8" and "B" or "A" vs "4" alternate displays. If we read ABC123, we don't display ABC123. Hope that makes sense. At low speeds 30 degree vertical and horizontal angles to the plate from the camera are no issue. When running LPR at higher speeds, from 40MPH to 70+ MPH, we prefer angles of less than 15 degrees and frame rates of 20-25fps. Our goal is to get at least two, if not more, "looks" at the plate. I'm not allowed to go into detail on pricing, but I can talk in general terms. The initial licensing per camera channel is a perpetual license that includes the Command Center, database, and Web reports. There is a yearly maintenance charge that is much less than the initial purchase price and includes updates to camera firmware, quarterly software updates, and technical support. 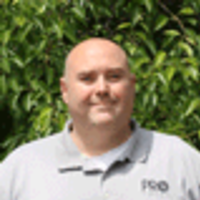 We do not disable the analytics after a year if the customer doesn't purchase updates, and whether the data is stored onsite or in a Cloud server, the customer owns their plate reads. Please feel free to contact me if you have any questions, and we'd like to be in your next LPR shootout as well! 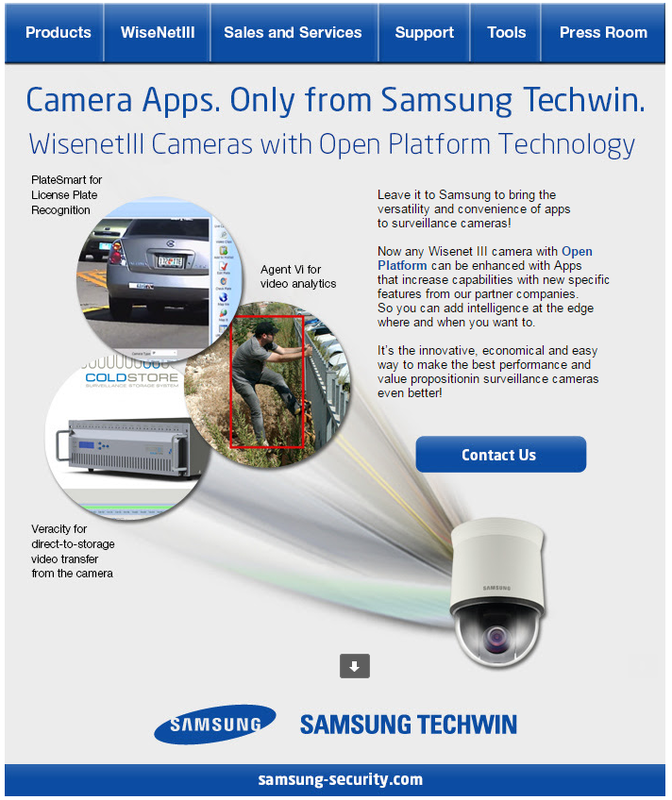 We (Agent Vi) have recently added the integration to Samsung WisenetIII cameras. additional info can be found in Agent Vi web site. The thought behind "Open Platform" Technology is to offer choice. Your choice to choose an Analyitc that you need and an Video Management Software company that you want. Such as Foxstream Analytics working on a SNV-6084 camera talking to Genetec software. This is all well and good but as your comment states "will practical application of these apps lives up to the promise?" This will also allow us in the Security world to look further afield by using Apps like People counting, heat mapping, queue monitoring, ANPR, Logistics and many more. 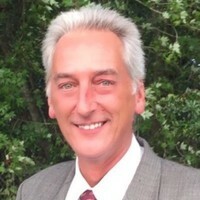 We can look more seriously at Marketing, Man-management, health & Safety and process opportunities. None of us wish to be "A Jack or all trades but Master of none". If a manufacturer who is an expert in making cameras (Samsung) can partner with an expert in creating Analytics (ISS) and an expert in Software development (Exacq) then the true beneficiary will be the end client.